It has been such a fun journey - learning how to paper piece and share my patterns with you! 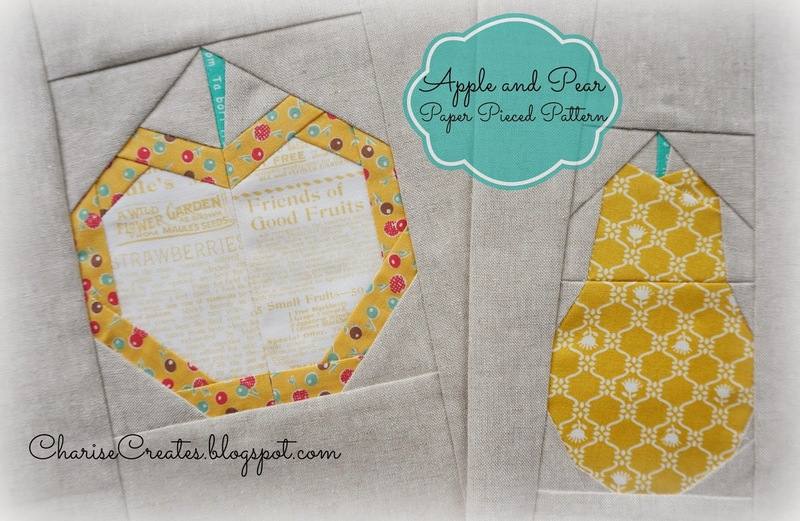 I unearthed my Apple and Pear patterns which I created more than 3 years ago! You can find the free apple pattern and tutorial HERE. 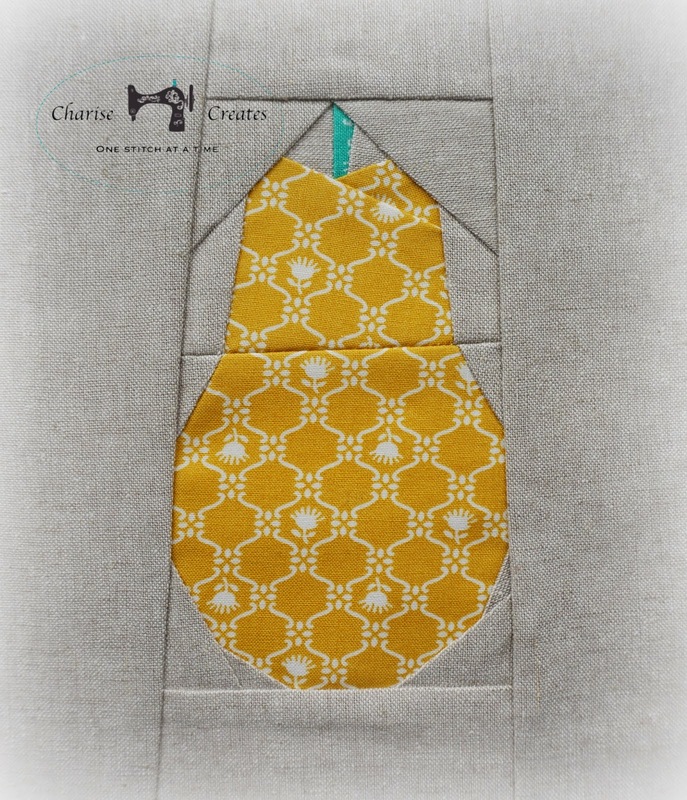 I decided to sew up the pear today to match the apple I made in a class I taught last weekend. More on that below. Look for the patterns soon. They are fast and fun to make. Great for pouches, totes or potholders as pictured above. 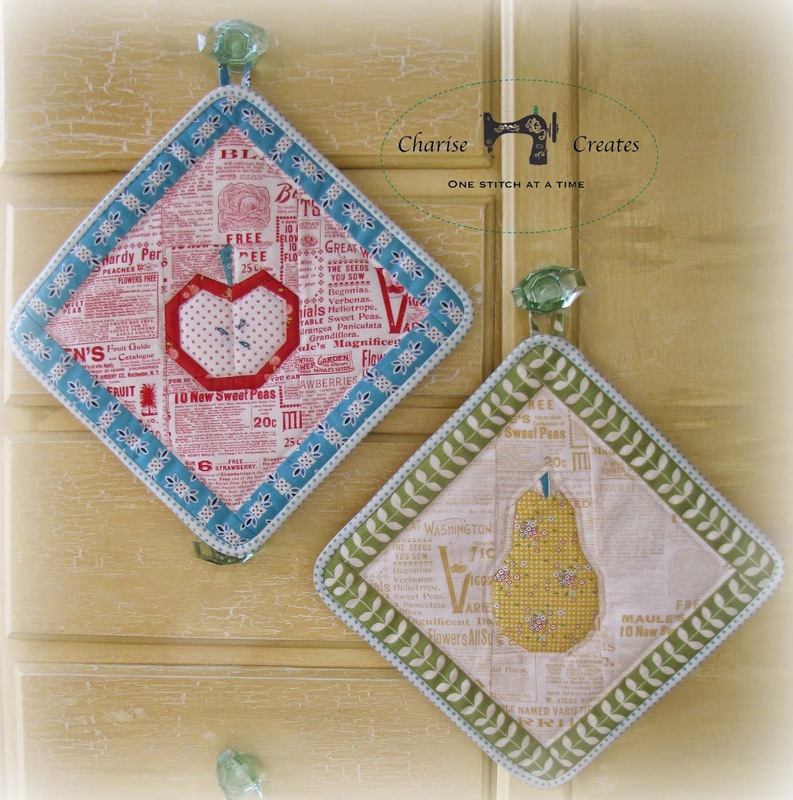 The patterns also inspired the block and circle pouch I created for "Playful Little Paper Pieced Projects. I taught a private paper piecing class last weekend to two lovely ladies - a mother and daughter. I used the apple pattern as a class sample. We started with the crayon pattern which is a free pattern you can find HERE. Their projects turned out so adorable! 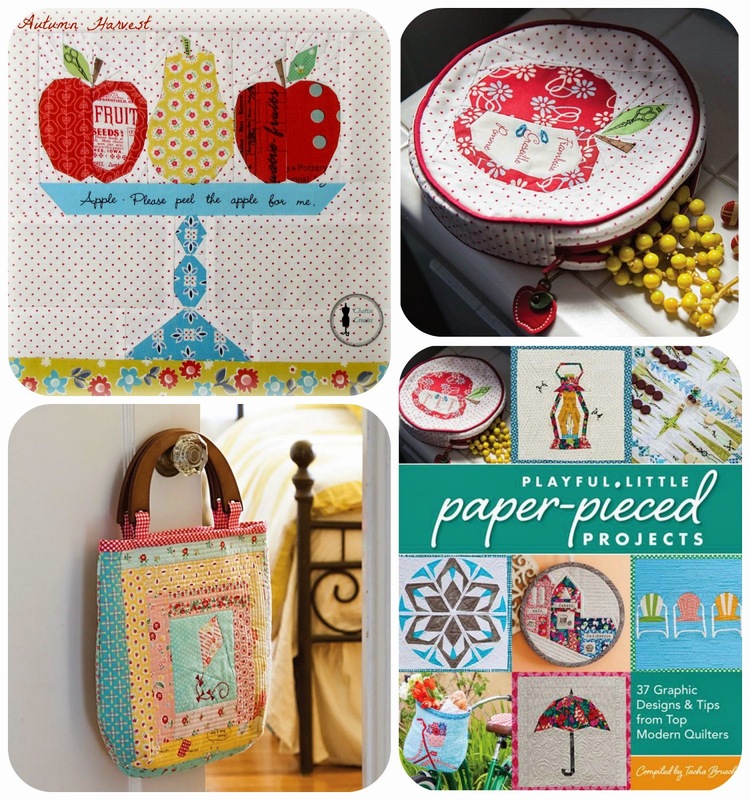 Be sure to check out the other wonderful Work in Progress Wednesday Projects over at Freshly Pieced! Beautiful - just love the pot holders!! These two are super sweet - thanks for sharing!